One of the key components for a profitable agriculture is the ability to dry and store grains. 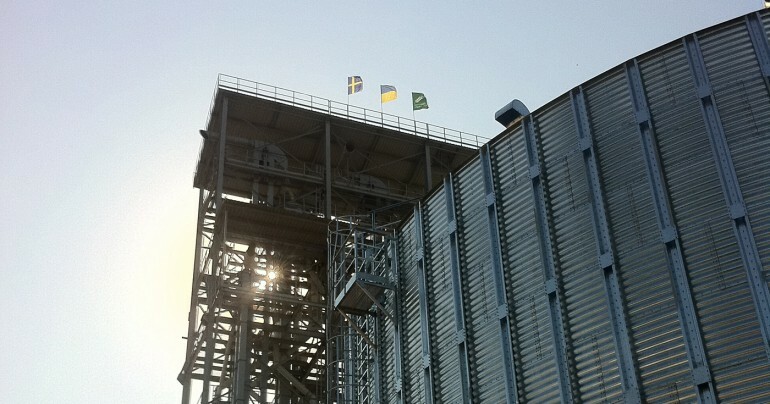 Grain Alliance has since 2008 focused on expanding and enhancing the storage facilities. In 2010 a completely new elevator was erected in the Poltava region. Grain Alliance has four grain elevators with a total drying and storage capacity of 162 000 tons divided on elevators in Berezan, 48 000, Barishevka, 15 000 tons, Yagotin, 44 000 and Piryatin 55 000. Three of the grain elevators have railroad access and the capacity can easily be expanded. The elevator in Piryatin was erected during 2010 and can be expanded during coming years if necessary. During fall 2013 48 000 tons of storage will be added to Berzan and Yagotyn (24 000 each). In addition to the elevator storage facilities Grain Alliance can store approximately 33 000 tons of grains in traditional on farm storage facilities. These storages have been refurbished during the recent years. Grain Alliance has also made large investments into energy efficient drying equipment. These investments have increased speed and quality of drying. Reduced costs and green house gas emission. During the peak of the season Grain Alliance can dry 3200 tons of grains per day.